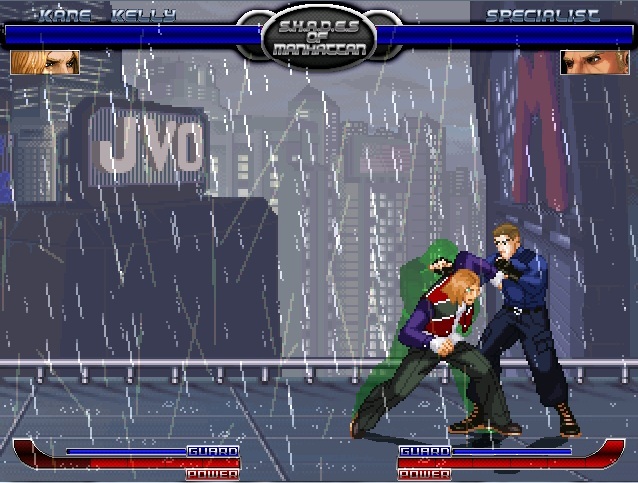 S.H.A.D.E.s of Manhattan is a long time 2d fighting game project and series made with the Mugen engine for the most part by Sean Altly. 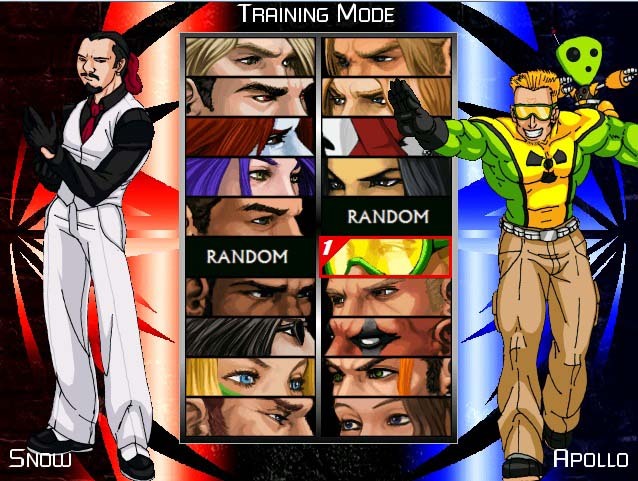 The 18+ Characters of S.H.A.D.E.s of Manhattan 2 and their 20 background stages are completely original designs, some animations and moves are based on characters from other games like the King of Fighters though. 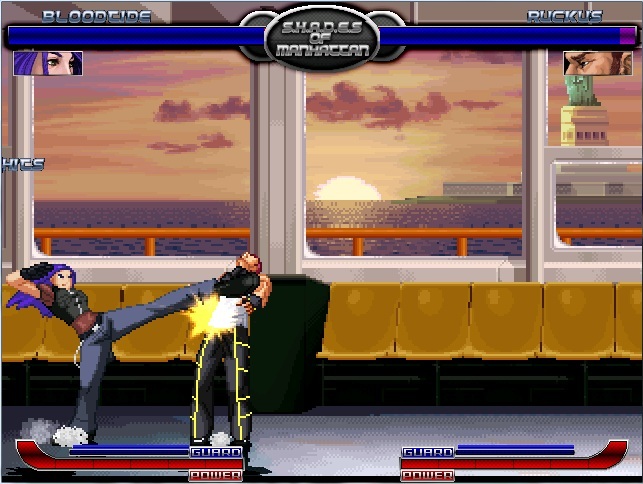 The first works which lead to the whole game were made in 2007 already with characters like Snow and Adamas released for Mugen, in October 2008 S.H.A.D.E.s of Manhattan (1) was released, somewhen later, Sean begun development for part 2 which had improvements like EX-Moves, Chain Combos, Overhead Attacks, Super Moves. After a lot work done, S.H.A.D.E.s of Manhattan 2 was released in October 2011. It has to be said, that those are all gameplay features which were seen in other games before though, but the combination and most important, the functionally of them is done flawless. The game features music by CVSNB and Nemesis Theory which fits the game and mood of it totally. Sean told me that S.H.A-D.E.s of Manhatten 3 is planned by him for sure, he already has plans for the new plot and also characters. 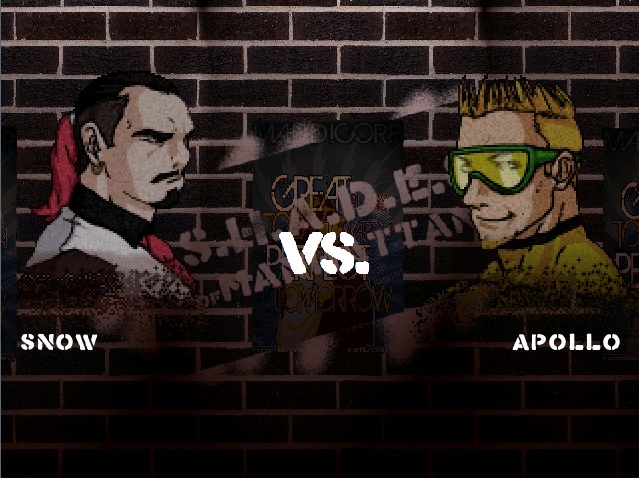 Like many fan-made games, it gets updated and enhanced from year to year, S.H.A.D.E.s of Manhattan is a 2D fighting game project with expected updates in the future, this article might be updated as well. 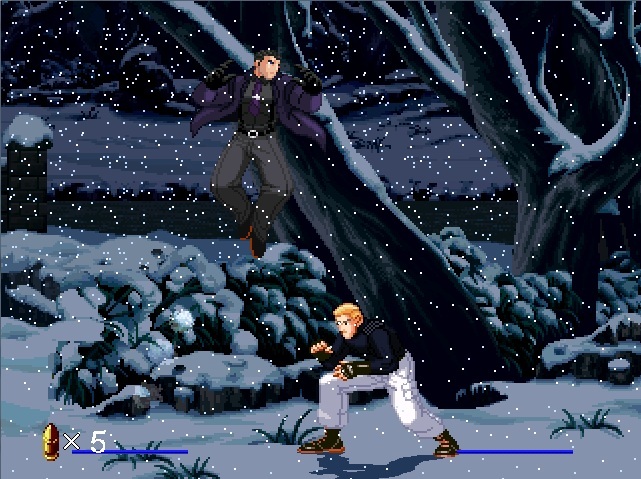 The game has everything a good fighter needs, many characters, many moves, balanced gameplay.